And then for quite the contrast, the other night I attended a pre-summit mixer for a Neighborhood Summit. It was held at a local food pantry where I serve on the board, around turquoise picnic tables, bringing together people and neighbors, who want to make a difference in their community. This month, I want to share some of my favorite quotes and moments from these events, that can apply to us all. Enjoy! Gartner does a great job of bringing in a variety of speakers that aren’t necessarily in the tech industry. Peyton talked about leadership, philanthropy, and his view of the NFL going from analog to digital. This quote can apply to all of us, in many situations in life. Lend a shoulder to cry on or hold someone’s hand during their personal struggles. You shouldn’t have to go through it alone. We have a close friend of the family’s that I have known for almost 40 years who decided not to treat her cancer, and she just recently died alone. She didn’t want to lean on her extended family and be a burden. But sometimes allowing someone else to help you is just as beneficial for them as it is for you. Nilofer was promoting the concept of “onlyness” – only you stand in that spot and have that idea. No big idea starts off big. It starts off with one person seeing something only they see. Don’t be afraid to be yourself, share your ideas, collaborate, and innovate. And make your ideas might enough to dent the world. We all should care about something and volunteer our time and our skills. It just takes a single act of kindness to start a ripple effect. Small, selfless acts can make a difference in someone’s life. We should try new things, and be brave doing so. If we want to innovate, we cannot be scared or intimidated. Growing up, boys are taught to be brave and take risks and girls are taught to be perfect and play it safe. We should be teaching our daughters bravery, not perfection. Girls and women have a unique perspective, and can help solve some of our toughest problems. And for the American economy to thrive and innovate, we shouldn’t leave half of our population behind. Remember that failures and set-backs are temporary. “If you fail, fail while daring greatly.” Learn from that experience, so you can grow and evolve. Someone has to be the “First” at everything when it comes to innovation. We all just need to be brave, believe in ourselves, and be willing to take that giant leap! She writes about her experience in France as a teenager in her book The Turquoise Table. Fast-forward years later and the #TurquoiseTable movement is born. “The Turquoise Table brought with it far more than I ever imagined. It led to a revival of community in the simplest of all: a table in our front yard.” Find more about the turquoise table movement and her blog and book here. Use your skills, your knowledge, your instincts to serve and to change the world in the way that only you can. Believe that you can. And I will just leave you with that deep thought. I hope you enjoyed this month’s post. Remember that you are remarkable. You have so much good inside of you and so much to share with the world. Trust yourself. Believe in yourself. Be passionate. Be brave. Share those bright ideas. And don’t do it alone. For more inspirational quotes, follow me on Twitter and Instagram at @photobaugh. 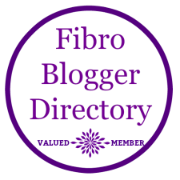 Previous Previous post: What Really Causes Fibromyalgia?